Oxygen, a slow killer but nonetheless essential element in our lives. Whether it’s caused by a disease, extreme sports or harsh environments, a lack of oxygen can lead to a number of different problems, including confusion, elevated heart rate and more. For people who find themselves struggling with these issues more than they would like, there is a simple way of measuring how much oxygen a person is carrying in their blood—an oximeter. The fingertip pulse oximeter is an invaluable tool to have if the people in question find themselves in the situations mentioned above. With a small form factor and very accurate readings, an oximeter can certainly provide users with invaluable data which will allow them to determine when to take a break or seek additional help. The Nonin Medical GO2 Personal Fingertip Pulse Oximeter is such a product which will be thoroughly discussed throughout this piece. Everything, from design and sturdiness to reading accuracy and ease of use, will be covered. Nonin Medical manufactures a wide variety of oximeters, both finger and wrist designs, for casual and medical use. Their offer includes both specifically designed accessories as well as products targeted towards different age groups. 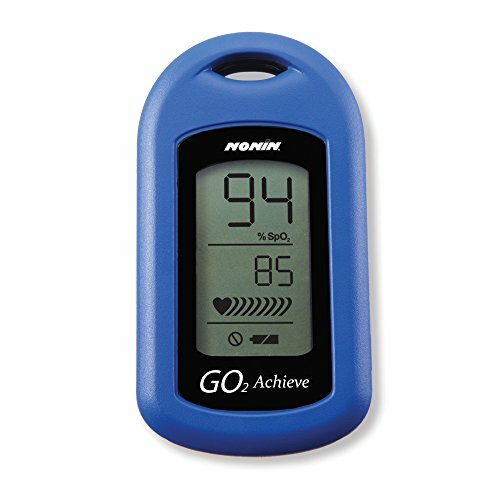 The Nonin Medical GO2 Personal Fingertip Pulse Oximeter is an interesting take on this type of product, mainly because of its very modest design. The build quality, while not the greatest, is fair and holds up nicely. This product is backed by a two-year warranty which is something to keep in mind before buying any product on the internet. The features are pretty basic: a black and white LCD display, sensors for reading SpO2 levels and pulse rates, requiring an AAA battery to power it all. The sensors provide very accurate readings, making it a perfect choice for intense sports practitioners, for people affected by lung conditions, or for nurses who want an easy, convenient backup reader on-hand. One design flaw that’s worth mentioning is the lack of a backlight on the display. While, obviously, this isn’t a device that needs to be used in extreme, dark environments, it would be nice to have access to the data 24/7, even during a power outage (which might induce anxiety in certain individuals), or during a midnight trip into the mountains. That being said, these are, by no means, deal-breaking issues. In essence, it’s best suited for monitoring big shifts in blood oxygen levels that can be attributed to intense workouts, a shift in environments, and other similar situations. Without proper approval from the regulating authorities, such as FDA and CE, no vital-monitoring item should be used as a 100% reliable piece of medical equipment. All in all, it still provides good use to athletes, giving them useful guidelines towards improving their technique and taking additional safety measures if necessary. The health monitor market is somewhat large and can be very confusing for the average shopper. Manufacturers often make claims that their products can’t live up to, so it’s important not to trust everything that one sees on the front page of an item without digging deep and going through the proper documentation. Because of this, we’re going to take a look at a similar product from the same market, and see how it compares to the Nonin Medical oximeter. The product of choice for the comparison part of this piece is the Yonker YK-80 Fingertip Pulse Oximeter. The Yonker Fingertip Pulse Oximeter is fundamentally the same as the featured Nonin item, but the quality and execution is somewhat lacking reliability. 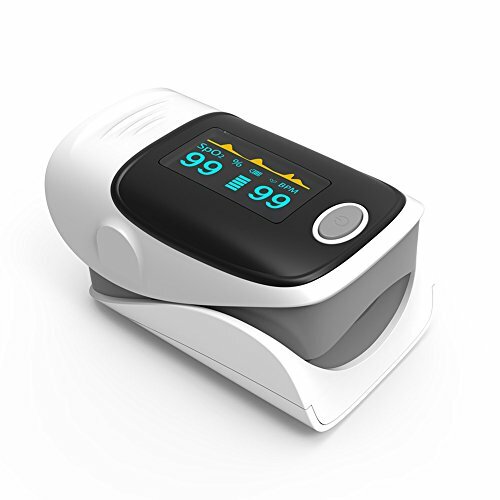 First off, the build quality is much inferior, and the form factor is bigger—two areas that are crucial in determining whether an oximeter is good or not. While it features a bright OLED display, the accuracy of the readings is questionable, making it virtually useless. Ultimately, the Nonin Medical GO2 Personal Fingertip Pulse Oximeter is a well-designed, fully featured oximeter. It provides consistent readings, allowing users to either change their lifestyle for the better or to take necessary safety measures when undergoing serious workout sessions or high-altitude activities.